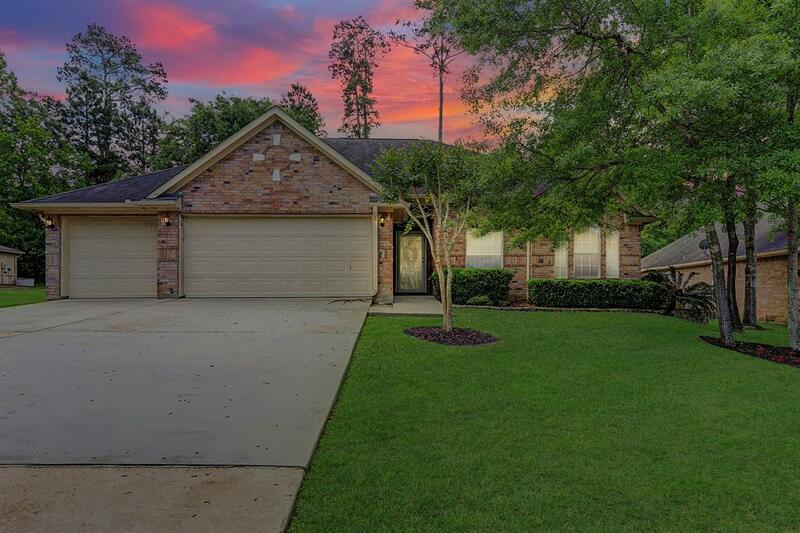 Beautiful home in April Sound that backs to a serene wooded area offering immense privacy! Just steps away from Lake Conroe and the April Sound golf course, you have the best of shopping and dining at your fingertips! 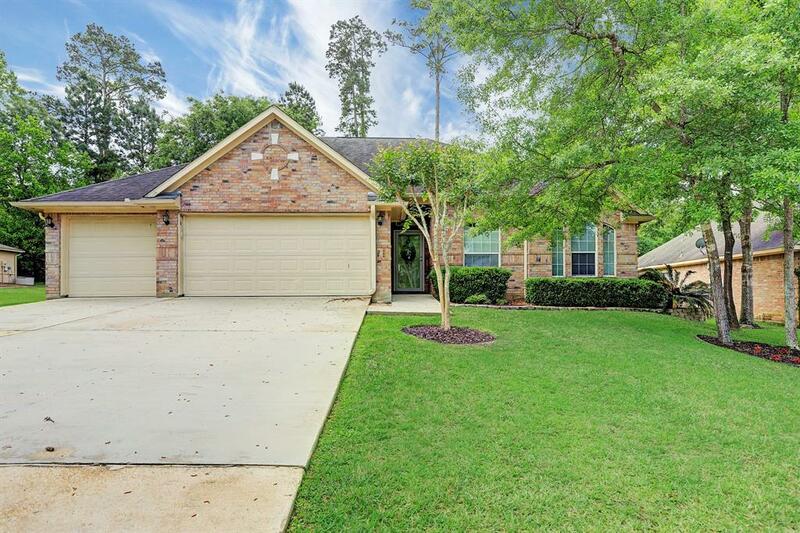 This well-appointed home features high ceilings, stunning laminate wood flooring, plantation shutters, and an open floorplan for great entertaining. The kitchen features crisp white cabinets and granite countertops for the home chef. 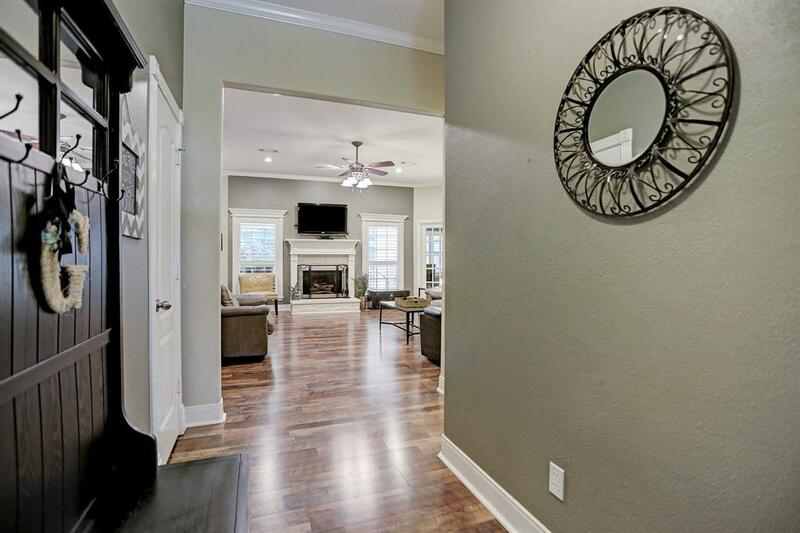 The master retreat features a coffered ceiling, tranquil backyard views, massive closet, and an en suite bathroom boasting dual vanities, separate shower/tub, and private water closet. The study is tucked away behind a french door with lovely views of the woods. Three secondary bedrooms offer space for everyone and a stylish secondary bathroom features granite countertops. The three car garage is fully finished with a motorized attic lift, and a split HVAC unit for climate controlled comfort year round. 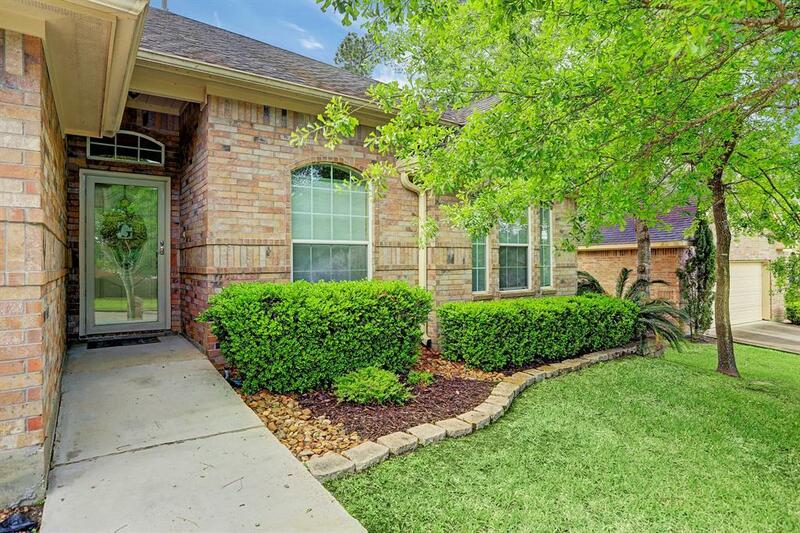 Come see this unique property today!